"This webinar was not only informative, it was also inspirational....The webinar today has totally changed how I will move forward and over or around the brick walls I have been dealing with for many years." I've got to admit - the goosebumps I had when she revealed her last clue lasted about an entire minute! Well done Judy, we are anxious to have you back! If you could not make it to the live event or just want to watch it again, the 1 hour 28 minute recording of Building a Family from Circumstantial Evidence is now available to view in our webinar archives. Visit www.LegacyFamilyTree.com/webinars.asp to watch. It will be available until September 10, 2012 for free. Own your own copy of Building a Family from Circumstantial Evidence by purchasing the webinar-on-CD for just $9.95. It includes the complete 1 hour 28 minute recording of the class, the question/answer session, and 8 pages of handouts. Click here for more information or to purchase. The special discount coupon of evidence that was announced during the webinar is valid for 10% off anything in our online store through Monday, September 3, 2012. One of the viewers, Kristine, wrote, "WOW. I just might be able to tackle my two brickwalls using these ideas!! Wonderful!! Thank you Barbara!!! Oh my I am excited!" I think you'll agree with Kristine after watching Barbara's webinar. If you could not make it to the live event or just want to watch it again, the 1 hour 30 minute recording of The 5 C's for Success in Genealogy Today is now available to view in our webinar archives. Visit www.LegacyFamilyTree.com/webinars.asp to watch. It will be available until September 3, 2012 for free. Own your own copy of The 5 C's of Success in Genealogy Today by purchasing the webinar-on-CD for just $9.95. It includes the complete 1 hour 30 minute recording of the class, the question/answer session, and 4 pages of handouts. Click here for more information or to purchase. The special discount coupon of success2 that was announced during the webinar is valid for 10% off anything in our online store through Monday, August 27, 2012. On Tuesday, September 11, at 8 PM Central, Gena Philibert-Ortega, will present, Grandma did What!? : Researching your Famous and Infamous Relatives, which will explore various ways to research your famous or infamous ancestors. To attend this webinar, register at https://www3.gotomeeting.com/register/646294230. 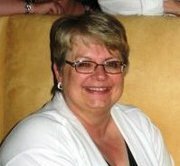 Last week's webinar, Major Midwestern Archives & Their Records, presented by Paula Stuart-Warren, CGSM, FMGS, FUGA, is now available to ISGS members in the Members Section of the ISGS website (http://ilgensoc.org/members.php). Today’s genealogists can often solve problems that stumped them just a decade ago by combining computer and classic resources. This webinar, taught by popular speaker and author, Barbara Renick, focuses on advanced search techniques and new ways to use them. Join us for the live webinar on Wednesday, August 22, 2012 at 2pm Eastern U.S. Register today to reserve your virtual seat. Registration is free but space is limited to the first 1,000 people to join that day. Before joining, please visit www.java.com to ensure you have the latest version of Java which our webinar software requires. When you join, if you receive a message that the webinar is full, you know we've reached the 1,000 limit, so we invite you to view the recording which should be published to the webinar archives within an hour or two of the event's conclusion. Barbara Renick teaches at national genealogy conferences and the FamilySearch Center in Orange, California; was a contributing editor for the National Genealogical Society computer magazine for eleven years; authored Genealogy 101: How to Trace Your Family’s History and Heritage sponsored by NGS for their 100th Anniversary; and currently serves on the NGS Board of Directors as secretary. The ‘Z’ Links page at her ZRoots.com Web site is very popular among genealogists who use it as their browser home page. Thanks everyone for your participation today. And a special thanks to Ginny Sommarstrom who, afterwards, emailed me a copy of Martin F. Brown's obituary from the Seattle Daily Times. I hadn't even thought of looking there since I already had his death notice in the St. Paul Pioneer Press. Thanks, too, for comments like this from one of the viewers, "Geoff's enthusiasm for genealogy is infectious - if you haven't already got the bug you sure will have after a webinar with Geoff!" Yes, I do enjoy genealogy and love that I can share it with all of you! If you could not make it to the live event or just want to watch it again, the 1 hour 33 minute recording of Researching with Geoff - Live! is now available to view in our webinar archives. Visit www.LegacyFamilyTree.com/webinars.asp to watch. It will be available until August 29, 2012 for free. Own your own copy of Researching with Geoff - Live! by purchasing the webinar-on-CD for just $9.95. It includes the complete 1 hour 33 minute recording of the class and 6 pages of handouts. Click here for more information or to purchase. The special discount coupon of research that was announced during the webinar is valid for 10% off anything in our online store through Monday, August 20, 2012. Geoff’s at it again – he recently discovered an obituary which appears to be the key to unlocking the mystery of one of his ancestral families. In fact, he believes he will finally crack the case of what happened to three of Martin Brown’s daughters (female ancestors – so hard to track sometimes aren’t they!). He’s going to wait and take the next step in front of a live webinar audience. You are invited to watch as he first demonstrates how to scan the obituary, shows where to save the digital image on his hard drive, sets up the source clipboard, and evaluates and adds the new information to his real, personal Legacy family file. He will next come up with his research plan, add it to Legacy’s To Do List, and begin the unscripted, unrehearsed research – live! You will probably also learn about census searching techniques (and its data entry), searching the Social Security Death Index and other online databases and much more. With this kind of instruction, you will get a peek inside the mind of a professional researcher that may give you some new ideas or solidify the research techniques you have developed. In preparation for this webinar, download and print the handouts which include a copy of the obituary and the family group record. Join us for the live webinar on Friday, August 17, 2012 at 2pm Eastern U.S. Register today to reserve your virtual seat. Registration is free but space is limited to the first 1,000 people to join that day. Before joining, please visit www.java.com to ensure you have the latest version of Java which our webinar software requires. When you join, if you receive a message that the webinar is full, you know we've reached the 1,000 limit, so we invite you to view the recording which should be published to the webinar archives within an hour or two of the event's conclusion. The Friends of the National Archives-Southeast Region, Inc., are please to sponsor the presentation "Your Civil War Ancestors: Beginning Your Research" with Michael Hait, CG, on August 13th, 2012. Summary: Learn how to identify your Civil War ancestors, and what information can be found in the Civil War records. Both Union and Confederate ancestors are covered. Presenter: Michael Hait, Certified Genealogist, is professional genealogist living in the Delaware / Maryland area with over ten years of research experience on families from Connecticut to South Carolina to Tennessee. He is, also, a published genealogical author and lecturer. His specialties include Maryland genealogy, Delaware genealogy, Civil War research, and African-American genealogy. I have done extensive research on slave families in Maryland, and the U. S. Colored Troops during the Civil War. After registering you will receive a confirmation email containing information about joining the Webinar. You will use your unique URL in your confirmation email to logon to the live broadcast on the 13th of July. "I was completely unfamiliar with wikis before listening. What an amazing brand new world has just opened up!! I'm looking forward to exploring this new area and growing and expanding my genealogy experience. Thank you so much Thomas, Geoff and Legacy Family Tree." If you could not make it to the live event or just want to watch it again, the 1 hour 28 minute recording of Wikis for Genealogists is now available to view in our webinar archives. Visit www.LegacyFamilyTree.com/webinars.asp to watch. It will be available until August 20, 2012 for free. Own your own copy of Wikis for Genealogists by purchasing the webinar-on-CD for just $9.95. It includes the 1 hour 28 minute recording of the class, the complete Q/A session, and 4 pages of handouts. Click here for more information or to purchase. The special discount coupon of wiki2 that was announced during the webinar is valid for 10% off anything in our online store through Monday, August 13, 2012. Here's your chance to learn about research facilities in the Midwest and the nuggets of information they hold. Knowing what's available and how to use these resources will certainly help you advance your genealogy research. Join us for next week's webinar, Major Midwestern Archives & Their Records, presented by Paula Stuart-Warren, CGSM, FMGS, FUGA. Description: Dates, names, ages, relationships, lawsuits, prison records, church records, bibles, probates, and more await us in archives. This presentation highlights some major Midwestern archives and their holdings, finding aids, websites, and special indexes. An overview will be presented for each state’s archive and some will be covered in greater detail. Archives are not created equally! For the states we are covering this is very evident. Some have a combination state historical society and/or library and the state archives. The websites, research services, online databases, range of holdings, and even the mission statements show big differences. We will also look at other unique archives in the Midwest. The main aim is to show the wealth of material available, how to access it, and why the on-site experience can be so rewarding. Since the early 1980s Paula has worked full time in the area of genealogical and historical research, lecturing, consulting, and writing. She has been a Board-certified genealogist since 1988, passing the every-five-year renewal assessments by the national Board for Certification of Genealogists. She is a firm believer in continuing education in genealogy and strives to keep up-to-date by participating in national and local conferences, reading the publications of many genealogical and historical organizations and individuals both off and online. She completed the week-long U.S. National Institute of Genealogical Research held at the National Archives in Washington, DC. For ISGS members who cannot attend on August 14th, a recording of the webinar, along with the syllabus, will be made available in the Members Section of the ISGS website at http://www.ilgensoc.org. If you're not already a member of ISGS, visit Join ISGS! for more information. Finding U.S. Naturalizations Records with Pat Jensen. To attend the presentation, visit http://www.virtual.ugagenealogy.org and, on the date and time of the meeting, click on the UGA logo. Enter the presentation as a guest. While many think of a wiki as an on-line, collaborative encyclopedia, wikis can be used by genealogists to document their genealogy and collaborate with other researchers or family members. Learn the various wiki platforms and the basics of setting up a wiki. Join us for the live webinar on Wednesday, August 8, 2012 at 2pm Eastern U.S. Register today to reserve your virtual seat. Registration is free but space is limited to the first 1,000 people to join that day. Before joining, please visit www.java.com to ensure you have the latest version of Java which our webinar software requires. When you join, if you receive a message that the webinar is full, you know we've reached the 1,000 limit, so we invite you to view the recording which should be published to the webinar archives within an hour or two of the event's conclusion. When Thomas MacEntee is not busy writing blog posts, organizing the 2500+ members of GeneaBloggers (http://www.geneabloggers.com), teaching online genealogy webinars and more, Thomas MacEntee is busy in his role as “genealogy ninja.” Stealth is not always easy, but Thomas manages to get the inside track on emerging technologies and vendors as they relate to the genealogy industry. After being laid off from a 25-year career in the tech industry in 2008, Thomas has been able to “repurpose” his skill set for the genealogy community and loves to see other genealogists succeed, whether it is with their own research or building their own careers in the field. You can reach Thomas at hidefgen@gmail.com or visit his site atHigh-Definition Genealogy. August 3, 2012 – Chicago, IL. Educator and author Thomas MacEntee announces a variety of new genealogy presentation topics available for delivery in the form of in-person lectures and on-line webinars. MacEntee now offers over 55 genealogy-related topics covering technology and genealogy as well as the methodology of family history research through his business High-Definition Genealogy (http://www.hidefgen.com). “I enjoy working with many organizations in the genealogy field, including genealogy societies, to help family historians of all skill levels get the most out of the various technologies available online.” Starting in 2008 MacEntee transitioned his corporate technical training skills to serve the genealogy community and continues to enjoy seeing the “light bulb go on” when someone “gets technology” in a friendly, easy-to-learn environment. MacEntee is now available for 2013 bookings in-person and via webinar starting at $125 per session. Lectures and webinars are typically 60 minutes in length and include a quality PDF handout filled with educational content and hyperlinks. MacEntee can provide his own webinar platform and works with genealogy societies and other organizations to understand and embrace the growing webinar concept in the genealogy community. For more information contact Thomas MacEntee at hidefgen@gmail.com or visit the High-Definition Genealogy website at http://www.hidefgen.com. When he’s not busy writing blog posts, organizing the 2800+ members of GeneaBloggers.com, teaching online genealogy webinars and more, Thomas MacEntee is busy in his role as “genealogy ninja.” Stealth is not easy, but he manages to get the inside track on emerging technologies and vendors as they relate to the genealogy industry. After being laid off from a 25-year career in the tech industry in 2008, Thomas has been able to “repurpose” his skill set for the genealogy community and loves to see other genealogists succeed, whether it is with their own research or building their own careers in the field. You can reach Thomas at hidefgen@gmail.com or visit his site at High-Definition Genealogy – http://www.hidefgen.com. High-Definition Genealogy provides various services to the genealogy and family history community including market research, consulting, education, and more. Thomas MacEntee is the driving force between High-Definition Genealogy whose goal is to help companies, non-profits and individual “focus” on family history. Thomas has been involved with genealogy and family history for close to 20 years and for the past four years has dedicated himself professionally to various aspects of the genealogy industry. Follow High-Definition Genealogy on Facebook (http://www.facebook.com/hidefgen), Twitter (http://www.twitter.com/hidefgen) and at http://hidefgen.com. If you could not make it to the live event or just want to watch it again, the 1 hour 9 minute recording of Neglected History is now available to view in our webinar archives. Visit www.LegacyFamilyTree.com/webinars.asp to watch. It will be available until August 13, 2012 (Geoff's birthday!) for free. Own your own copy of Neglected History by purchasing the webinar-on-CD for just $9.95. It includes the complete 1 hour 9 minute recording of the class. Click here for more information or to purchase. The special discount coupon of history that was announced during the webinar is valid for 10% off anything in our online store through Monday, August 6, 2012.